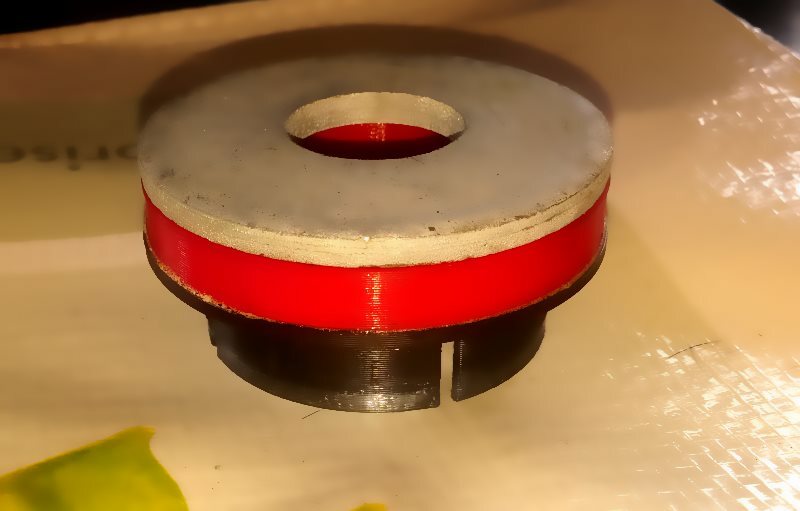 I've got 2 full sets of polyurethane bushes for the front subframes spare from the last group buy, due to non-contact/non-payment, they've collected enough dust over the past few months so I'm putting them back up for sale, first come, first served. You get 4 x Upper Poly Bushes, 4 x Upper Plastic inserts, 4 x Lower Poly Bushes, 4 x Lower plastic inserts and also 4 x new lower washers in a kit. 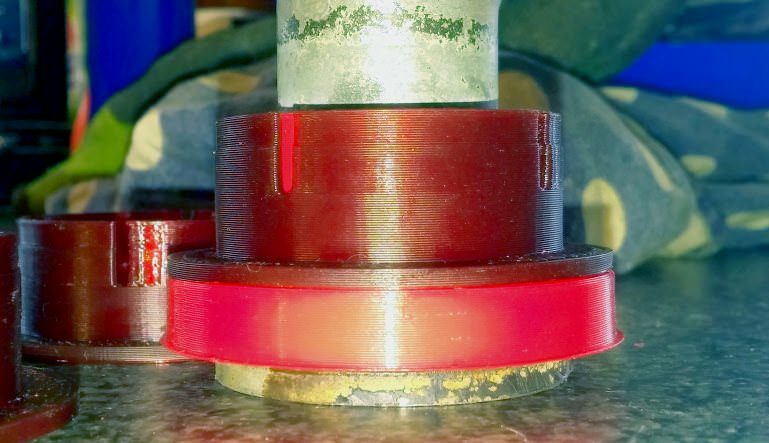 You need to reuse the steel centre out of your original upper bush. 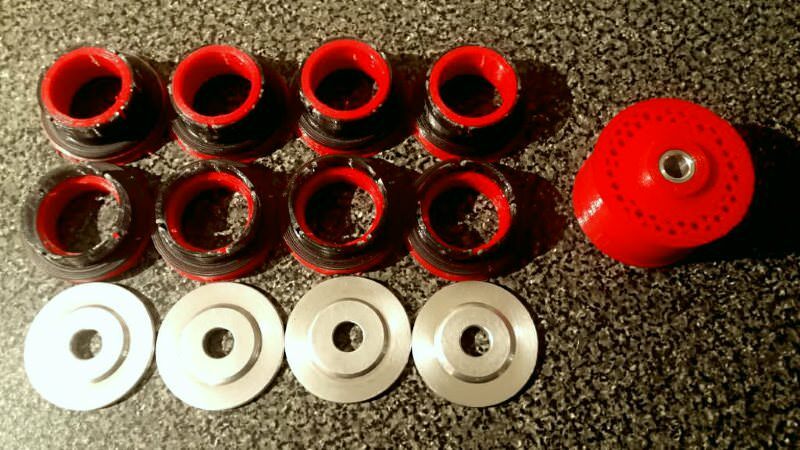 The washers that come with them now will be machined billet aluminium rather than the welded steel ones there. 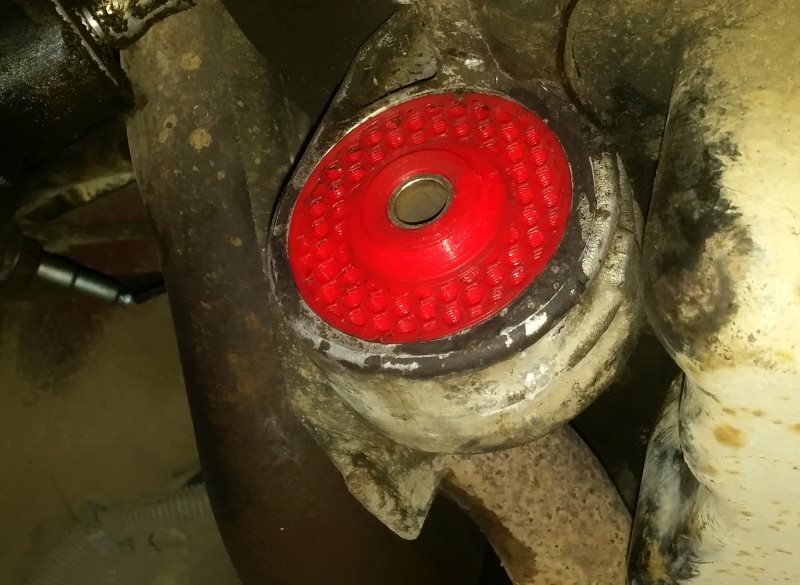 You can actually fit them without removing the subframe completely - you can lower it on a jack on the car enough to get the old bushes out and the new in, even for the uppers. And also one 70mm to fit most XU engines, they're both 95A shore, but they have a solid centre and a honeycombed outer, so that they're stiff radially but almost as soft as an OE bush for warp modes - the V6 one feels almost like an OE engine mount in terms of lack of vibration, even on a cold idle. Centre tubes again are machined billet ally. 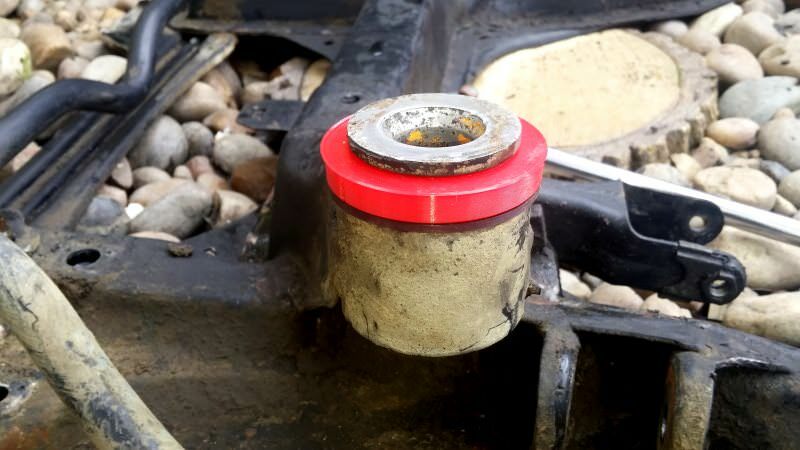 I can do custom stiffness engine mounts if you have a specific application in mind, track cars, etc - but there'd be a lead time of about 3 weeks on custom ones. Had a couple ask about holding these - sorry, but I've had a couple of people ask me that to start with, held onto them and then never heard back, hence wanting them out of the way, so I'm afraid it's just going to be first come, first served at this price. Does anyone just want the bushes? I've got someone wanting me to split for the engine mount. 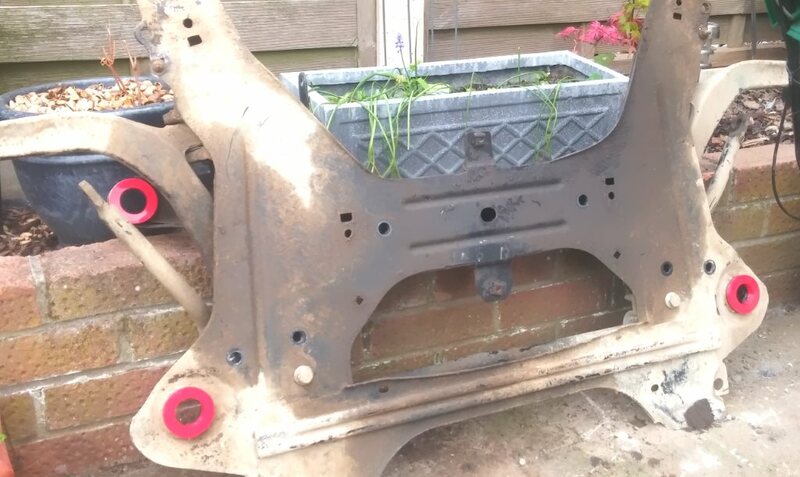 Engine mount is sold seperately, so just the bushes for grabs now - £100 to clear, includes postage! Last bump 'fore they go on gumtree/fb/ebay sale sites. Sold pending payment, thanks for looking.